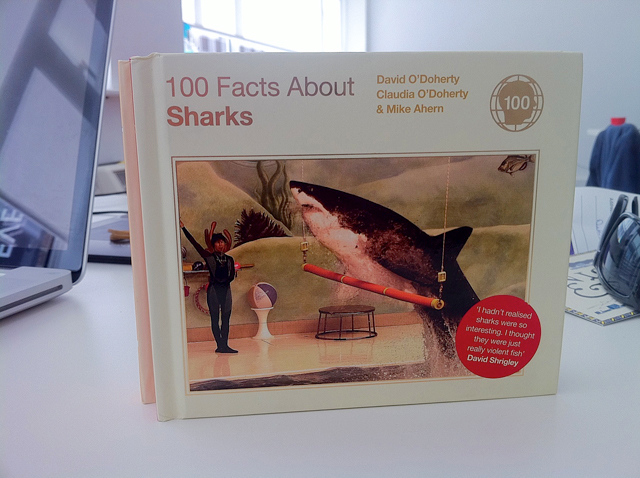 100 Facts about Sharks – The only 100% official Republic of Ireland Book Launch is this WEDNESDAY in the lovely Gutter Bookshop (Cow’s Lane Temple Bar, Dublin) Wednesday 12th October – 6.30pm until 8pm. 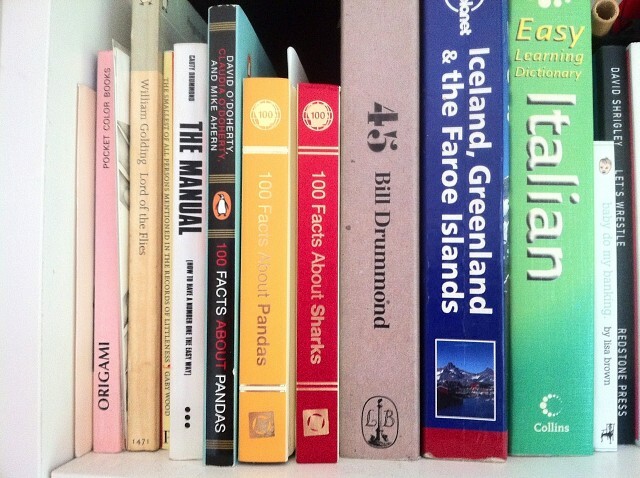 Extreme multi-media slideshow presentation. 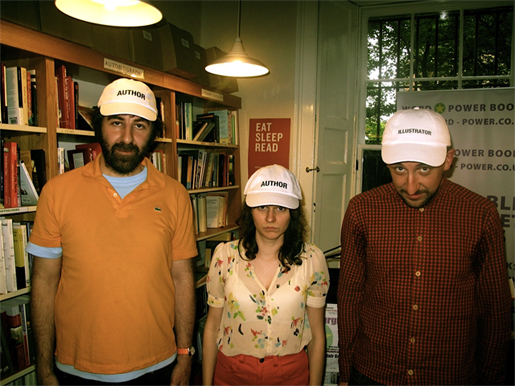 BYO 3d glasses. 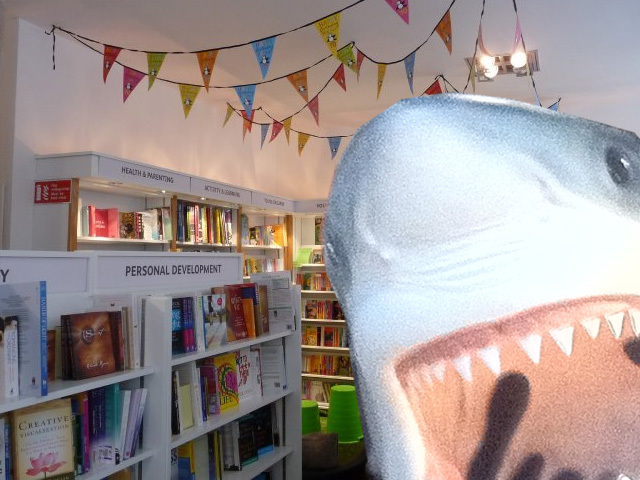 Come and meet 66.6% of the Authors and get a badly drawn shark and possibly a cruel message on your book. 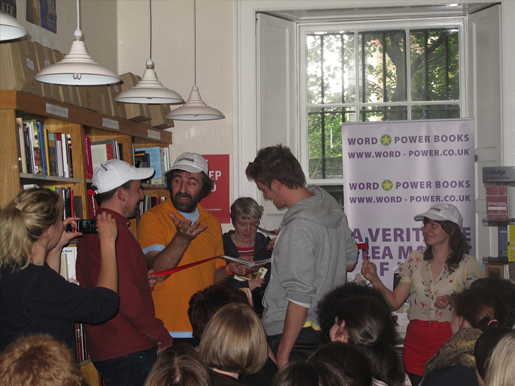 100 Facts about Sharks was launched in Word Power Books as part of the 2011 Edinburgh Book Fringe. 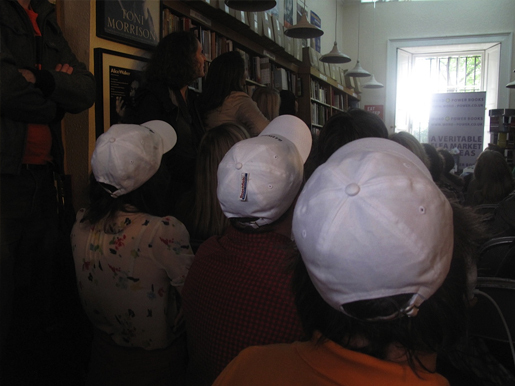 We asked a man from the audience to cut a ribbon we had attached to a copy of the book, and as he cut it he said, “We’re going to need a bigger book,” and our book was launched. 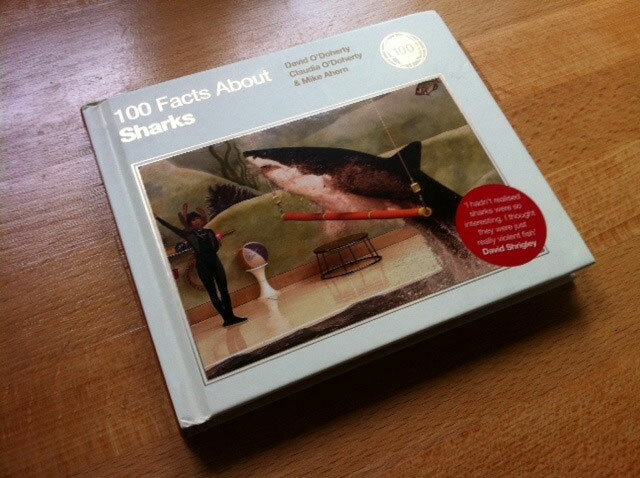 Announcement: 100 Facts About Sharks is Blooming Well Out Today! 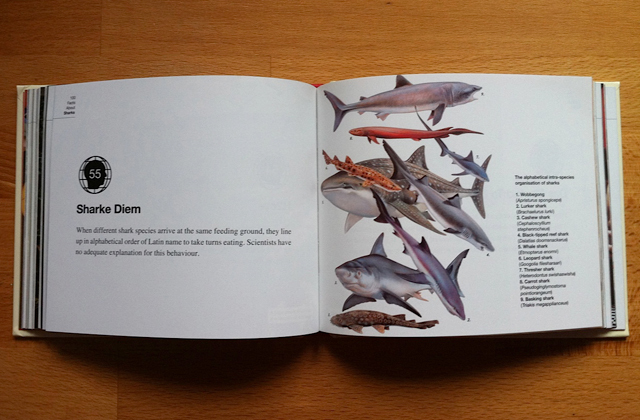 Go grab a copy from Amazon.